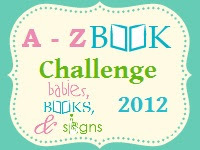 Last year, one of the challenges that I couldn't finish was the A-Z Reading Challenge which required me to read at least one book for each letter of the English alphabet. For not completing that challenge, this year (since I am a glutton for punishment) I am signing up for two versions of it. The First one, hosted by Babies, Books, and Signs requires one to read 26 books in all, their titles beginning with each letter of the English Alphabet . 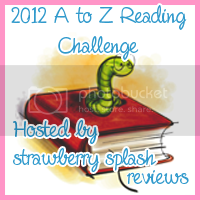 The Second one, hosted at Strawberry Splash Reviews, requires one to read either 26 books whose titles begin with the 26 letters or whose authors' last names begin with the letters. I am doing the author version for this. Since X is problematic, in both the challenges the hosts have made the provision of having it somewhere in the title/ name rather than right in the beginning. Edwin Drood: Did he or Didn't he?